This must be the Place, IMOCA, 2009 In 1972 Muhammed Ali fought Al Lewis in Croke Park Dublin. During his trip he played some golf at Portmarnock Golf course. 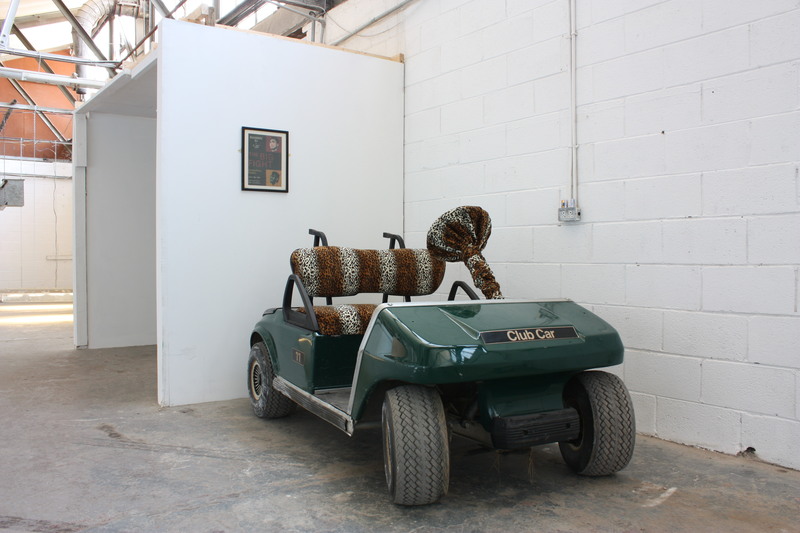 Whilst playing Ali was driven around the course in a golf buggy supplied by The Buggy Man. 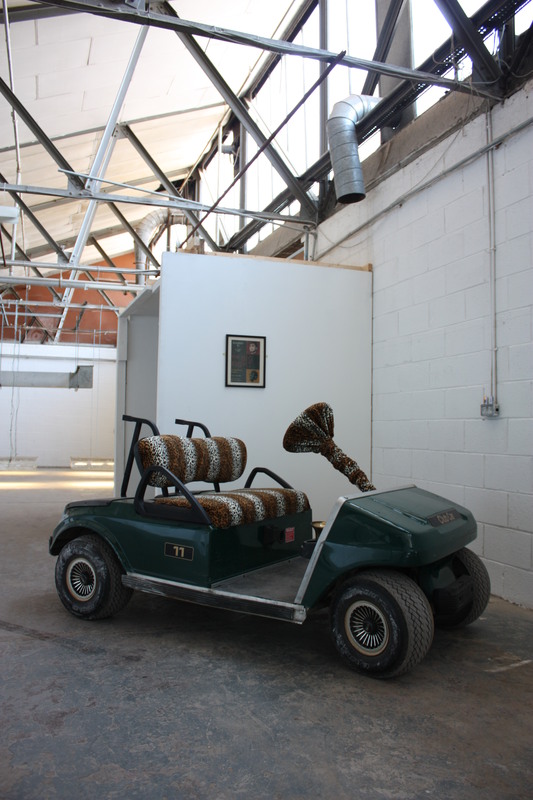 In 2009 curator Paul Murnaghan asked Pallas Projects to take part in the inaugral exhibition at the series of interconnected warehouses that housed IMOCA, posing us the question to represent the ideology of Pallas Projects. 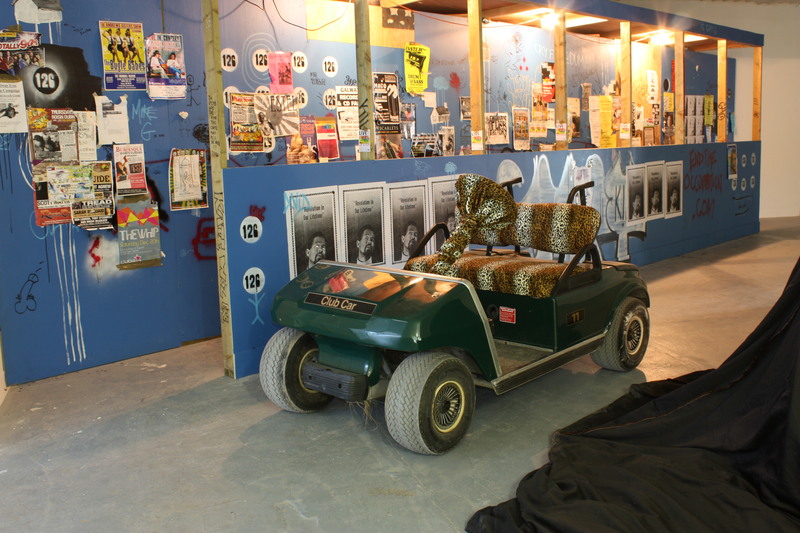 Brian Duggan and I tracked down that buggy and pimped his ride. 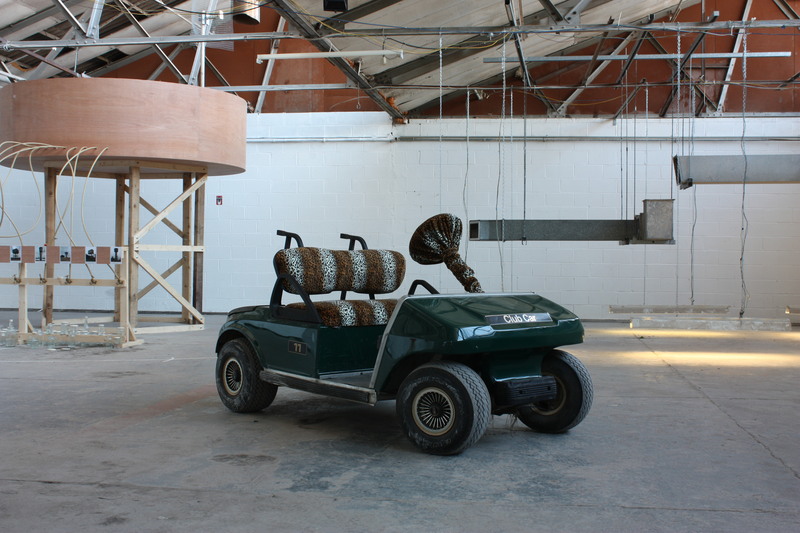 We used it as a vehicle to ferry artists and the public around the exhibition.